The Hisey-McDermott | Gigantic vintage car show this weekend! Gigantic vintage car show this weekend! The annual British Car Day is the largest event of its kind in North America. It's a popular event for car enthusiasts and draws over 8000 spectators. Hosted by the Toronto Triumph Club you can check it out at Bronte Creek Provincial Park on Sunday, September 18. 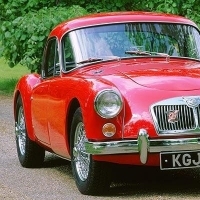 They are expecting over 1000 vintage, classic and modern British cars, so get there early! The event opens at 9:00 am rain or shine. For specific event details, please visit the Toronto Triumph Club website here.